Hello everyone! Ready for my most favourite topic ever? Let’s talk about reclaimed wood projects! Bliss landed this little crate for a buck. She then added shims to the sides and all kinds of other neat fixes, morphing it into a serving tray. This is too cool! When Susan received a custom order for some tags for a wedding, no normal tag would do! 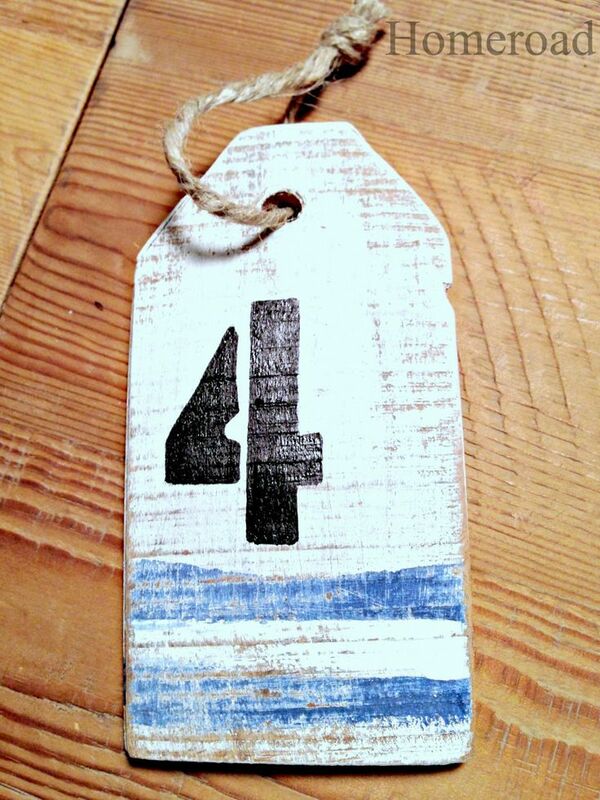 These darling nautical styled buoy tags indeed have style! When Tiffany moved to a smaller apartment, she lost her dining room table space. But no problem! 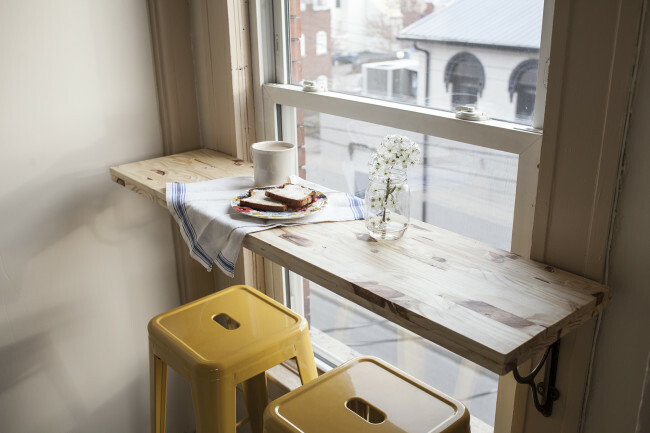 While this particular board isn’t reclaimed, this cafe corner window seat is an amazing feature that could be used for a table or desk in front of any empty window! When Kari Anne went to the hardware store, her heart was not on the new wood. It was on the throw away spool in the middle of an isle. As luck would have it, her vision landed her a free place to stash books! And a husband that has plenty of game watching to catch up on. Minor detail I’m sure! 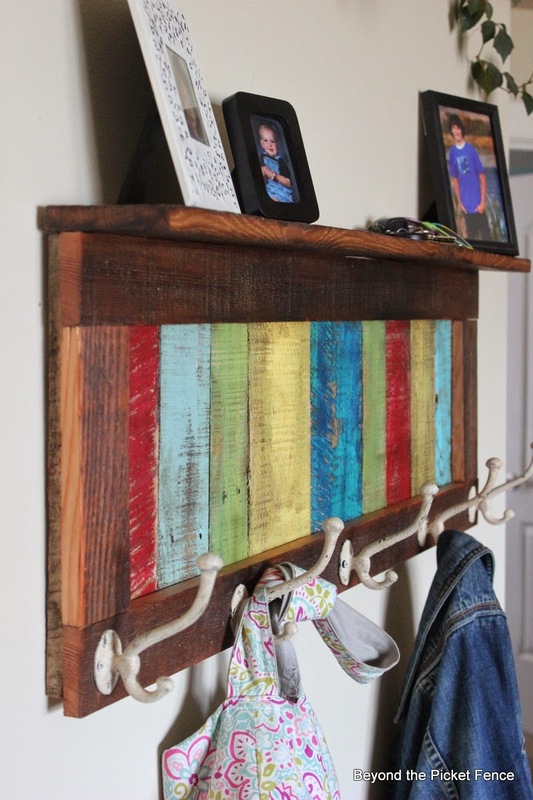 Becky put some colourful reclaimed wood scrap ends from another project to whip up this gorgeous and vibrant coat hook! Who needs sunshine when you have all these fun colours greeting you each day?! 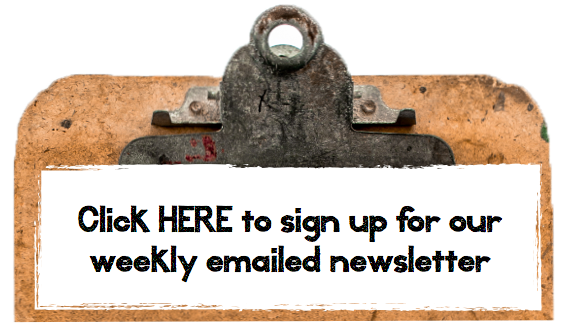 Share your own reclaimed wood creations in the 2nd linkup below! 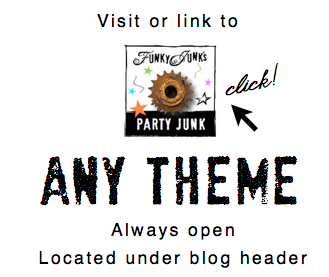 Hi Donna, I haven’t been around lately since you changed your party to Upcycle theme. I think it’s great! 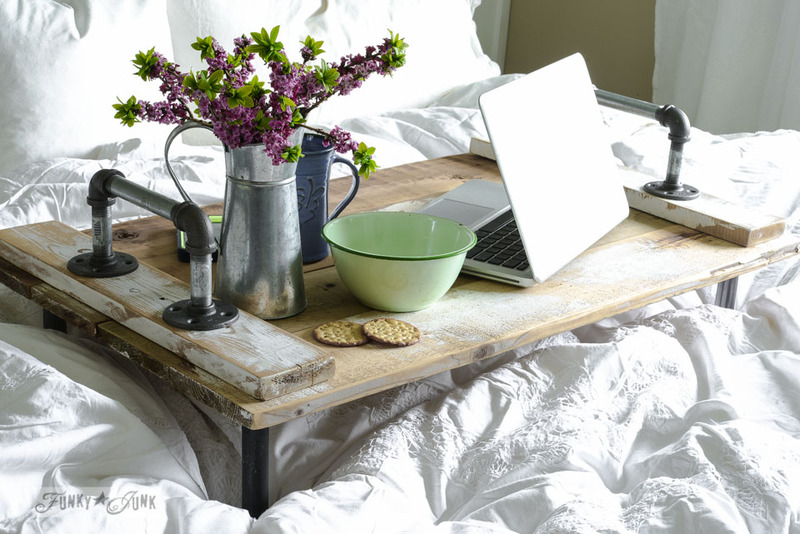 I love upcycling, it’s so creative and inspirational! Sharing my little Porch Bench #4 and my Raised Garden beds made from Salvaged Wood and an old Industrial Farm gate #6 (reclaimed wood). Hope you will enjoy! Have a great week! Thanks for hosting! 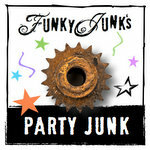 Thanks Donna for Party Junk. The nautical tags and the cafe style dining counter caught my eye especially. Yes! 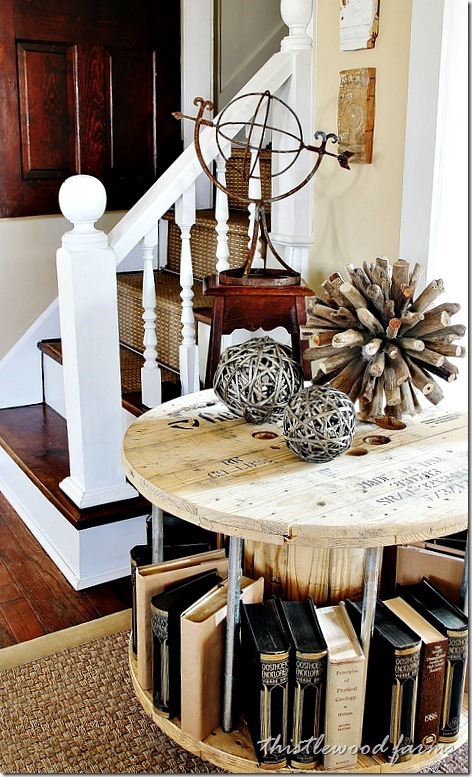 This is my favorite topic too, I LOVE Reclaimed wood! And I love all the projects you featured! Thanks for the party! Hugs! Thank you for this fun party!! Thanks for hosting love the features. Love the cafe dining room especially. I’m honored to be featured as well as be among the creative projects of others, gracias! Yes, I’m commenting a lot on your blog tonight, but I’m trying to catch up on my emails after being laid up with my back. 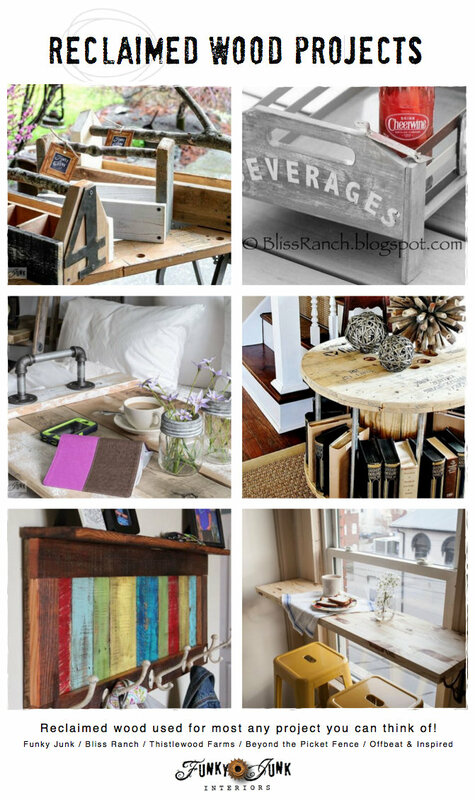 This post has been pinned, I have so much old wood & pallets that need to be put to good use. Perfect timing with the weather soon to be good enough to work in the barn with the saws! WOW! 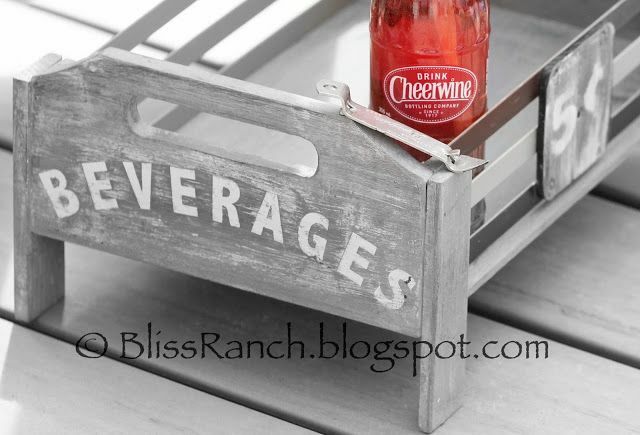 We love Cheerwine! It looks so retro on the crate! Perfect accent. Love the ideas! Thanks!